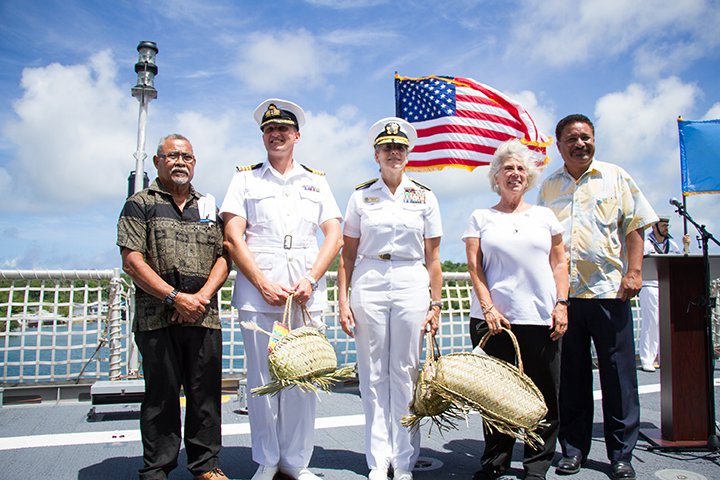 Colonia, Yap—“All of us are here with you as partners because you are important, because we are committed to your welfare, and because we all share the human desire to live good lives on our own lands,” said Deputy Ambassador Joanne Cummings during this morning’s closing ceremony of the Pacific Partnership 2018 operations in Yap. 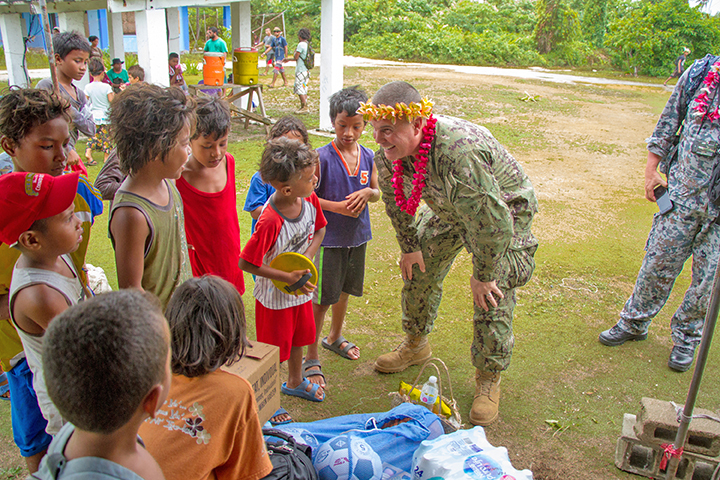 Pacific Partnership is the largest annual multilateral humanitarian assistance and disaster relief preparedness mission. It was begun in 2004 after the devastating Indian Ocean tsunami in an effort to build capacity and relationships in the Pacific region in order to more quickly and effectively respond in times of disaster. 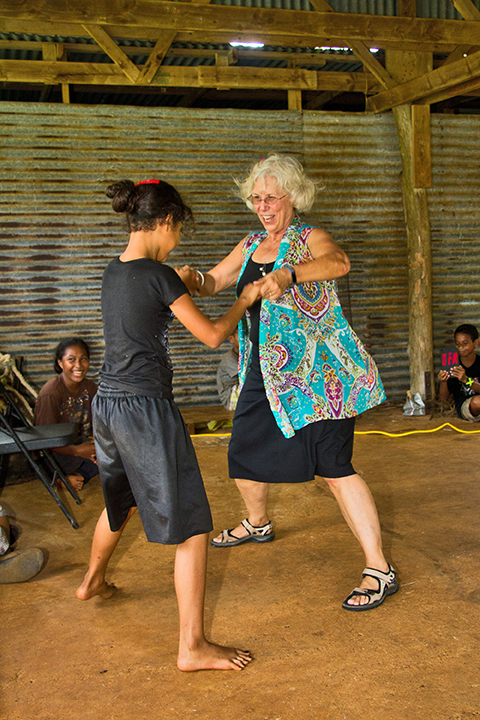 Since that time the Pacific Partnership has served in the FSM five times but this mission was the first visit to Yap where they served both on the main island of Yap and in Ulithi. 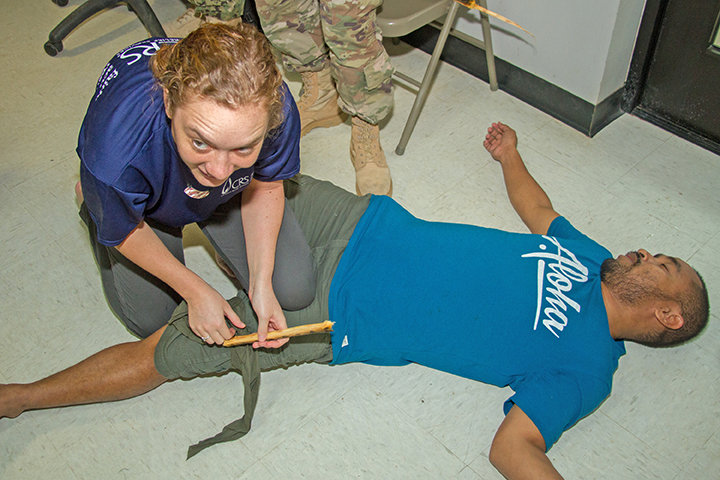 According to a defense press release, in 10 days over 134 military personnel from the United States, the United Kingdom, Japan, and Australia conducted 51 medical engagements and subject matter exchanges, six engineering projects, and 22 community relations and band performances along with subject matter exchanges on high availability/disaster readiness. 28 Seabees from Amphibious Construction Battalion 1 worked alongside the community at six construction projects spread throughout the island. Projects included installing roofing and walls at the Yap Memorial Hospital, painting at the Gilman Elementary School and Early Childhood Center, door replacements at Gaanelay Elementary School and Tomilang Elementary School, and restoration of flooring and doors at the Fanif Elementary School. 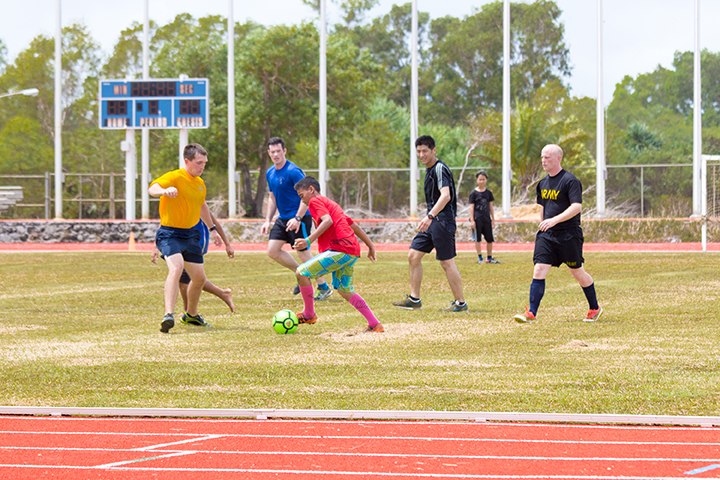 The U.S. Navy Pacific Fleet “Deep Six” brass band along with military personnel aboard Brunswick participated in community-wide events including a Sports Day at the Yap Sports Complex and an island-wide parade in downtown Colonia. Other events included visiting students at schools throughout Yap in playing sports, reading together and discussing about life in the U.S. military. 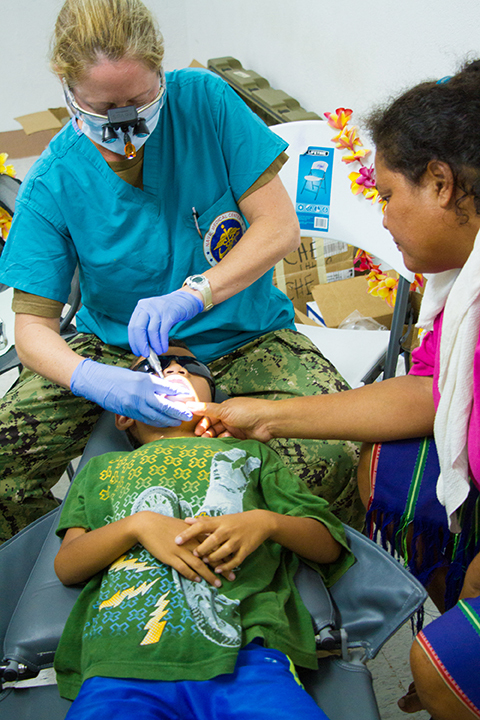 The medical team of audiologists, veterinarians, primary care physicians, medical technicians, dentists, dental technicians and nurses conducted a Community Health Engagement (CHE) providing health screenings to nearly 130 patients, dental care to over 70 patients and optometry support to over 60 patients. Those are the numbers. Numbers of engagements and services are only sort of an agreed upon measure of the impact of an engagement but in truth, even those numbers are insufficient. The impact of each person served affects that person’s entire family, their village and ultimately the state and nation. An engineering project to better the facilities of a school affects the entire student body, the faculty, their families and the community as a whole. Even the impact of one dog being spayed or neutered has knock-on effects on the communities where those animals live. In point of fact, the hard and fast statistical measurement of an engagement such as the Pacific Partnership vastly understates the actual impact and does nothing whatsoever to reflect the impossible to measure but invaluable importance of new relationships established or knowledge shared. By all measures, the Pacific Partnership 2018 engagement in Yap was a magnificent success, and the effects of the nearly two weeks long engagement will resonate for generations even if in ways too subtle to be directly recognized. That effect goes in both directions as indirectly pointed out by Deputy Mission Commander Captain Peter Olive of the British Navy. “Sir, it has been my honor and privilege to meet you and learn from your wisdom. The culture of these islands is rich and deep, and we have enjoyed experiencing it if only briefly. We wish you well as you work tirelessly to preserve this environment and lands for future generations,” Captain Olive said during his speech when thanking Chief Bruno Tharngan for hosting the team throughout their stay. There were many texts and subtexts in the speeches given by FSM Senator Joseph Urusemal, Yap State Legislature Speaker Theodore Rhutun, Deputy US Ambassador to the FSM Joanne Cummings, Rear Admiral Shoshana Chatfield, Commander Joint Region Marianas. All spoke of the enduring relationship between the United States and the FSM and the many reasons and motivations for that relationship. They spoke of the immeasurable and unquantifiable importance of the relationships and capacity building progress of the multi-national Pacific Partnership for the people of the beneficiary nations as well as for participants in the mission. Though the mission was put to bed in Yap it was not put to bed in the sense of a final ending. “With sadness in our hearts we are leaving, but with the joy of many new friendships that we will cherish hereafter,” Captain Olive said at the conclusion of his speech.